View below our last few successful auctions. 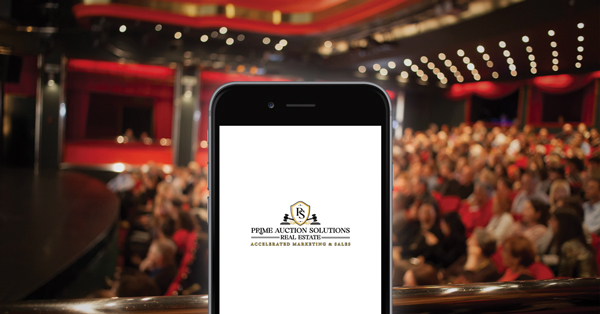 Contact Prime Auction Solutions about how we can assist you in the sale of your real estate or personal property. BROWSE THE ONLINE CATALOG AND REGISTER TO BID. Collections feature: Signed Art, Antiques, Rare Decor, Fine Furniture & Carpets, Collectibles, and Objects D' Art from Around the World. Call 703.889.8949 for details & info. Join us March 9th for the Annual Chef's Tasting Gala to support TheLoudoun Symphony Orchestra and The Loudoun Youth Symphony Orchestra. The Under The Sea Gala will be held at TheLansdowne Resor, The event features music from Loudoun Symphony musicians and a chefs' tastings menu presented by premier Loudoun Chef's, Proceeds of the gala benefit the Loudoun Symphony Orchestra and Loudoun Symphony Youth Orchestra Program. 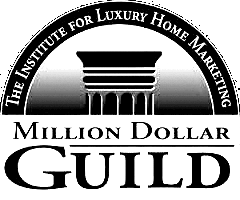 Onsite & Online Luxury Auction: The Villa on Piscataway Bay, is perfectly situated within 15 short miles from our Nations Capital and less ten miles from the MGM Casino, National Harbor and Old Town Alexandria. Come home to your one acre retreat set in the exclusive vacation like setting of Piscataway Hills. The Villa boasts exquisite architecturally designed stucco & glass contemporary design, walls of glass for sun kissed mornings and breath taking sunsets. Your guests and family will marvel at the serene backdrop of Piscataway Bay, a nature preserve with fishing, ducks and geese as you enjoy your own private pier, in a sought after Potomac Waterfront community: Auction Preview Dates: Sunday 1pm - 3pm Feb. 25 | March 4 | March 11 Call 703.889.8949 for details, info, or to pre-register. This Auction has been CANCELLED - 4123 Meadow Court Annandale, VA 22003 Offer for sale at public auction on October 18th, 2017 at 10 a.m. in front of the main entrance to the Courthouse of the Fairfax Circuit Court. To settle the estate of Ira and Corazon Jett, Prime Auction Solutions has been retained to sell Dominion Square Townhouse, at Public Auction on Monday July 10, 2017 at 2:00 pm. The 3 level brick townhome is tucked in the sought after Arlington Heights Community. -- Join us for a preview Sunday 6/25 and 7/2 from 1PM - 3PM. -- Call 703.889.8949 for details, info, or to pre-register. The Loudoun Symphony Orchestra & The Loudoun Symphony Youth Orchestra will be hosting a Puttin’ on the Ritz Chef’s Tasting Gala will take place from 7 to 11 p.m. on Saturday, March 11 at the Lansdowne Resort & Spa This year’s event features music from Loudoun Symphony musicians, a chef’s tasting menu presented by Aggio, Chantel’s Bakery, D.C. Prime, Lansdowne Resort & Spa, Magnolia’s. PIND Indian Cuisine, Roots 657 and The Fresh Market. The gala would not be possible without the cooperation of and tremendous support from the Lansdowne Resort & Spa. Join us in raising funds and supporting the community with a Live Auction conducted by Anne Nouri & Avisha Kassir. Online Auction, Bid Friday March 3rd to Friday March 10th, 7:00 pm. Register now to bid. Auction Preview Sunday 3/5 1-3 pm. Exquisite custom built all brick mansion just 5 miles to Washington DC - Approx 13,700± sq. ft. of remarkable architecture! Doctor's Community Hospital Foundation Gala 2016, will be held at the Ritz Carlton Tysons Corner VA, Saturday September 12, 2016. A fun filled evening of fundraising & team building with an energizing Live Auction! UNDER CONTRACT. Magnificent property in the heart of Loudoun County. 5,500+ Sq.Ft. residence on the highest lot on the gold course. Excellent community amenities.